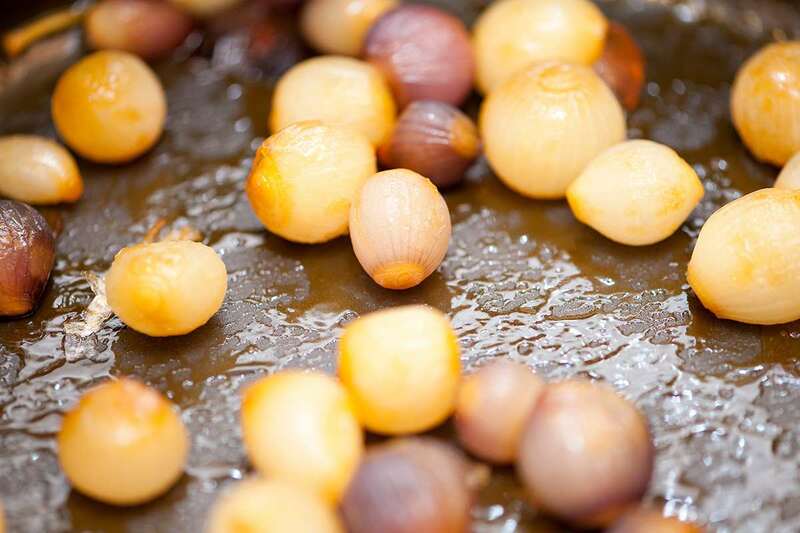 Pearl onions with a caramel and olive oil glaze and a hint of rosemary. A wonderful little side dish. Heat oil, sugar and rosemary in a heavy saucepan over medium-high heat. Stir frequently until the sugar is nicely browned (light coffee color). Add pearl onions and stir until well coated. Add white wine and a generous amount of ground black pepper (to taste). Cover, reduce heat and cook until the onions are soft and almost done. Take off lid and boil off remaining liquid. I like the idea of looking at your categories of recipes that make a good creation the most about that – it’s good inspiration. I have been torn between the direction of what my newest site on essay writing service should be focused on and after reading this.